If you are in the business of buying or selling timberland, unlike real estate brokers, we are foresters who are also realtors, and we know trees intimately. We ask you the right questions to help you find the tracts that are best-suited to your needs. Over the years, we have fine-tuned a list of specific questions that help us hone in on and find the perfect tract for you. We are always thinking strategically about the client’s long term goals. We don’t look for short-term solutions, but rather, we use our experience to help clients make decisions that will benefit them for years to come. We are aggressive. We are always looking out for our client’s best interests, and go the “extra mile” to make sure our work gets done well and that our clients are happy. The most important thing in to Southeastern Forestry is client satisfaction. Steve McMillan founded Southeastern Forestry in 2014. Steve has over 18 years of experience in land acquisitions, land sales and intensive forest management utilizing fertilization and herbicides, and other silvicultural techniques. 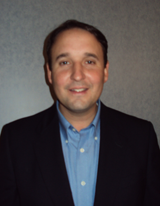 Steve is the Founder and Owner of Southeastern Forestry, Inc. He is the past Vice President at Milliken Forestry Company where he worked directly with investment fund managers and private clients for over sixteen years. His wide range of experience includes large land acquisitions, land sales, management of large timber inventories, growth value projections, management plan development, Geographical Information System (GIS), and Geographical Positioning System (GPS) technologies. His passion is using his experience to promote his clients’ vision, wealth and portfolio. Registered Forester #1557 in South Carolina and #1499 in North Carolina. Member of Xi Sigma Pi Society of American Foresters, SC Forestry Association and The Association of Consulting Foresters. Kent has over 45 years of experience in land acquisitions, land sales and intensive forest management utilizing fertilization and herbicides, and other silvicultural techniques. 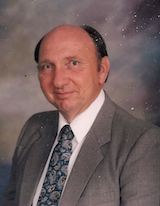 He served as a land acquisition, wood procurement, and land management forester with Bowater, Inc. for over 33 years in SC, GA, NC, and VA, and with Milliken Forestry Company, Inc. for 12 years as a Land Sales representative. 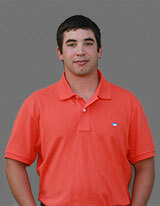 Drew has 5 years of experience in land management for TIMOs and private landowners. He has extensive knowledge with timber appraisals, marketing timber sales, timber inventories reforestation, cost share assistance, silvicultural techniques, herbicides, and wildlife habitat. He assisted Ph. D students with forest research for a summer at the University of Maine and has also worked for a year in the logging industry operating equipment.